One of the true innovators of techno, Richie Hawtin, will be bringing his live Plastikman 1.5 show to the Barrowland in Glasgow on Saturday 3 December 2011. 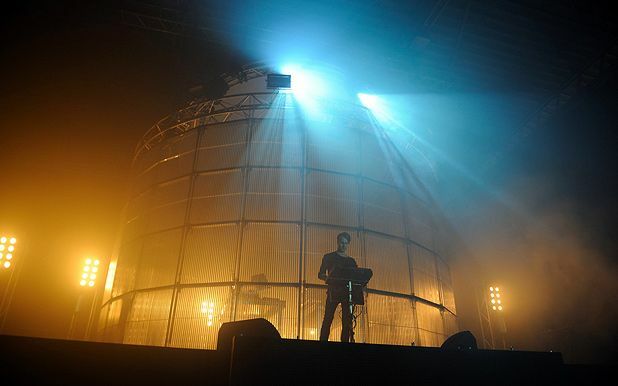 One of only three UK dates, this hugely ambitious live electronica show was last seen in Scotland at T in the Park 12010, where every aspect of the performance (music, lighting, audio, visuals and real-time audience interaction via the SYNK App) are all controlled by Hawtin on stage. Tickets go on sale 9am Fri Jul 22. Barrowland, Glasgow, Sat 3 Dec.